A beautiful landscape begins with an innovative design — a design as individual as the client who seeks it. 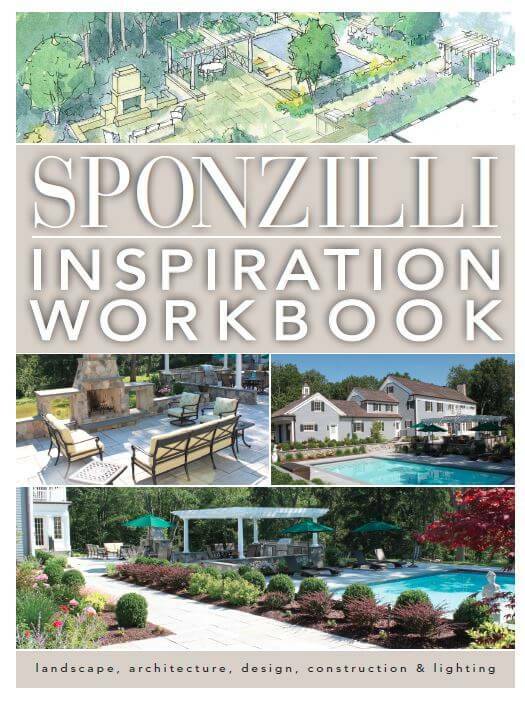 Sponzilli Landscape Group has been creating stunning landscape design solutions in NJ and New York for 40 years. We transform our client’s vision into an outdoor space that both beautifies and complements their home. 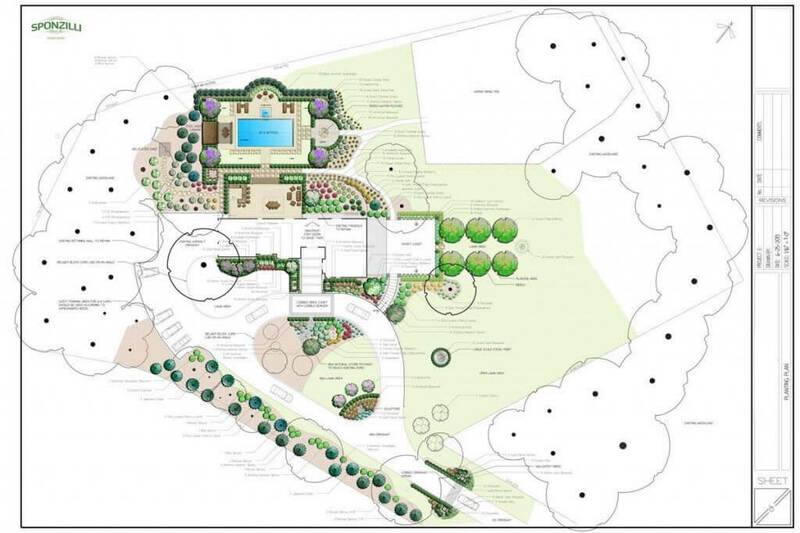 Our landscape design process is a truly personal collaboration between our clients and our designers. Initially, a comprehensive preliminary design plan is developed showing the various elements discussed in our initial meeting. 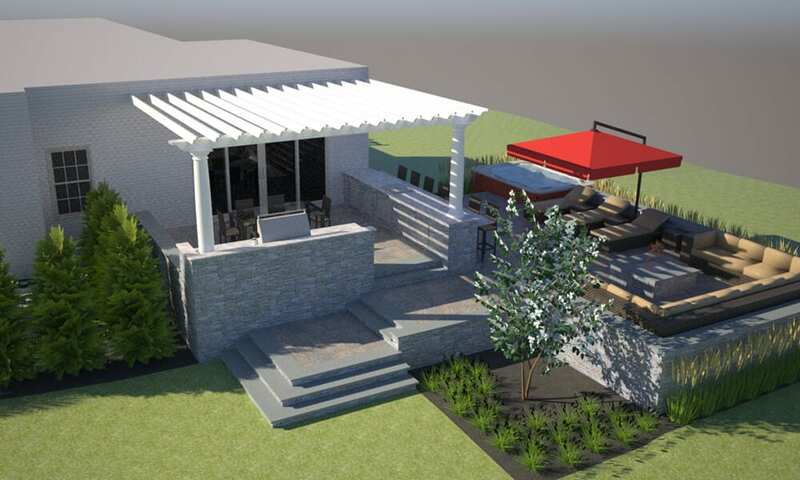 You will be able to visualize your new landscape and can truly customize and optimize your design. 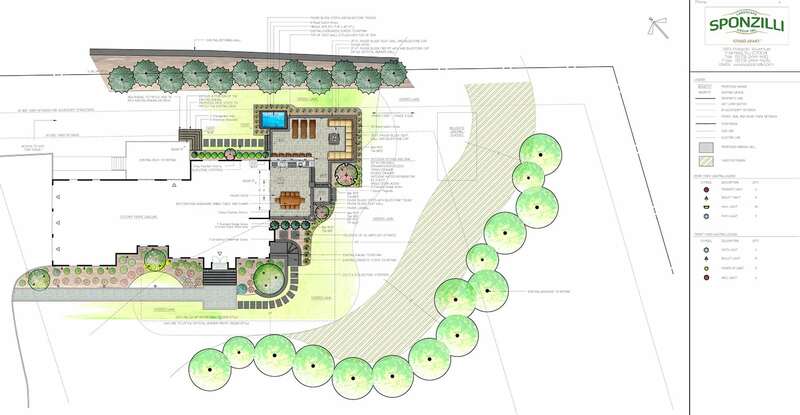 Gain insight into the landscape design and build process. This free resource provides guidance as you consider the many choices and options in creating an outdoor environment that is uniquely yours. Once approved, a comprehensive 3-D Design Plan is completed to include construction drawings, lighting, drainage, grading, plantings, hardscaping elements, site furnishings, and erosion control measures with full details. 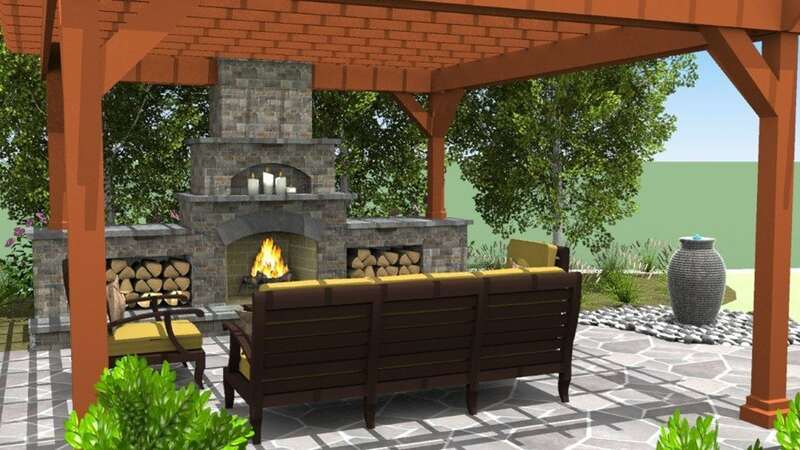 You’ll be able to view your landscape design plan in full color as it will look with your home, including trees, plantings, water features, and even lawn furniture from a variety of angles. The renderings are extremely accurate and “virtually” identical to the finished project. 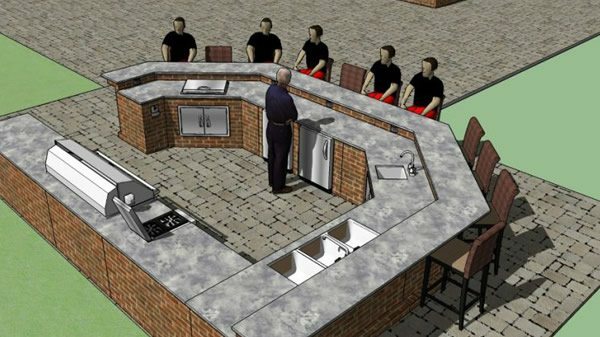 This 3D animation was generated to visualize the layout and scale of a sophisticated residential landscape and backyard oasis. 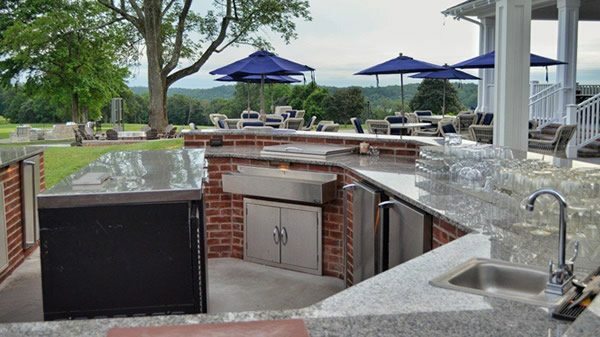 The project called for extensive stone patio areas, a multi-elevation pool surround embracing a custom-designed in ground pool, cabana, curved stone kitchen, counter & bar, with dramatic lighting and custom finishes throughout. Our landscape design team will design, build, and maintain your outdoor space to fit your lifestyle. Our talented team of professionals will hand select every product and plant ensuring the highest quality material is used. From discussing your goals, to drawing paper plans, to excavating concrete, to removing existing trees and planting new ones, the designer is involved every step of the way, ensuring attention to every detail. The result is a landscape design solution that showcases and enhances your home and provides maximum value for your investment. 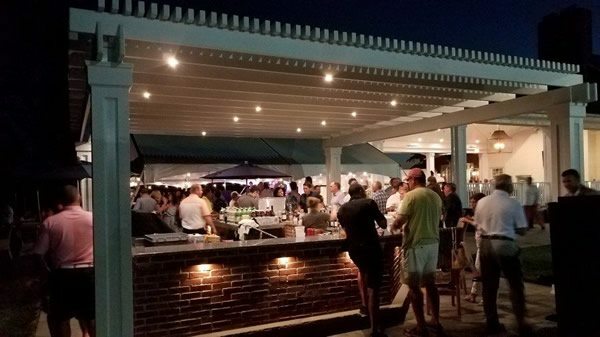 At Sponzilli Landscape Group, we create distinctive landscape environments that are unique, attractive and functional — landscape designs that will enhance the aesthetics, value, and ecology of your home and property, creating memorable outdoor spaces to enjoy day in and day out. Every aspect of your residential landscape design will be closely supervised, and we will attend to your every wish and concern.